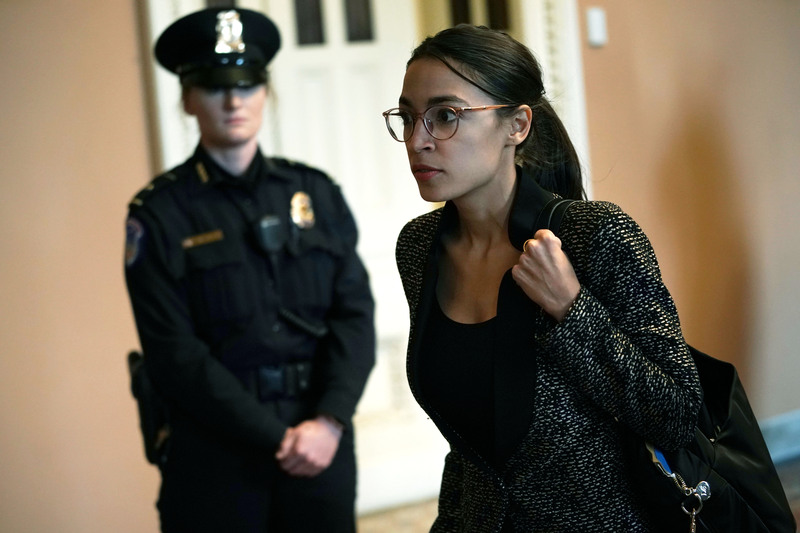 The youngest Congresswoman to be ever elected in the country unveiled the plan jointly with veteran Sen. Ed Markey of Massachusetts. New York Democrat Representative Alexandria Ocasio-Cortez is reportedly being criticized by conservatives for her "Green New Deal," which incorporates a set of goals the country needs to reach in an effort to combat climate change. 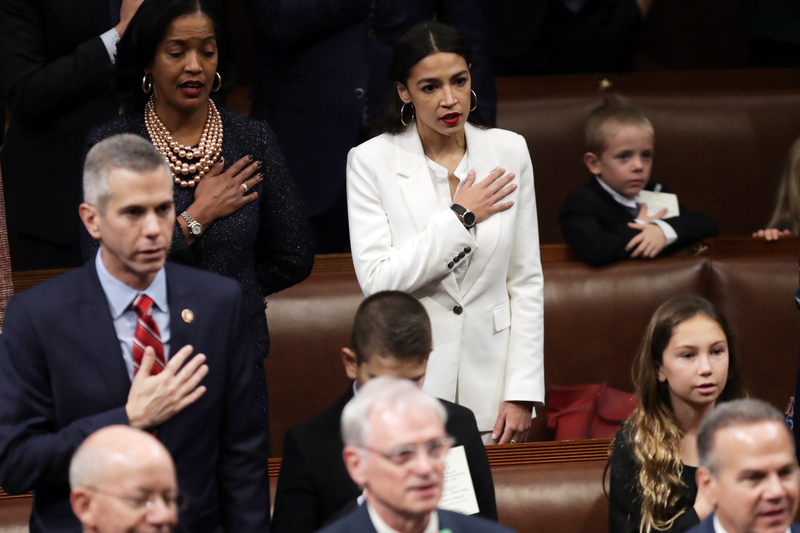 The youngest Congresswoman to be ever elected in the country unveiled the plan jointly with veteran Sen. Ed Markey of Massachusetts. The proposed policy aims to achieve net-zero greenhouse gas emissions in 10 years and create thousands of jobs in renewable energy. However, shortly after the details of the plan became public, right-wing news outlets slammed the freshman lawmaker on Thursday by seizing on certain parts of the proposed plan. Many pointed out the Democrats' own acknowledgment of how it would be difficult to reach a zero-emission society in a decade because they "weren't sure if they could get rid of farting cows and airplanes that fast," the Daily Mail reported. Republicans took to Twitter to point out a particular part of the deal which called for every building in the country to be upgraded or replaced to make them more energy efficient, saying it was far too ambitious. The Trump administration does not believe that immediate action on climate change is necessary and is generally focused on increasing the production of energy resources like oil, gas and coal on private and federal land. A Republican from Colorado, Doug Lamborn, during a climate change hearing in the House natural resources committee on Wednesday slammed Ocasio-Cortez's policy and likened it to a "Soviet five-year plan." The Green New Deal, a non-binding resolution, outlines multiple goals for the United States to reach within a decade, including meeting 100 percent of power demand from zero-emission energy sources. It calls for new projects to modernize the transportation infrastructure across the country, de-carbonize the manufacturing and agricultural sectors, make buildings and homes more energy efficient and increase land preservation. The lawmaker's plan also aims to formulate an economic safety net for 'frontline' communities that will be affected by the impacts of climate change and by a radical shift away from fossil fuel use. In addition, it calls for universal healthcare and federal job and training guarantees. The proposed policy also calls for universal healthcare, training guarantees and federal jobs. Ocasio-Cortez's plan reportedly goes far beyond the Clean Power Plan proposed by former President Barack Obama. Trump had scrapped Obam's climate plan shortly after assuming the presidency by calling it a "job killer" as it imposed emissions limits on coal-fired power plants. The announcement of the Green New Deal came shortly after House Speaker Nancy Pelosi tapped eight Democrats to serve on a special committee to address climate change. Ocasio-Cortez, however, was not included on the committee. The New York Democrat said that she was invited by Pelosi to join the panel, but she had declined the offer saying she wanted to focus on her own climate change plan and other committee assignments. Ocasio-Cortez said that the plan will create "unprecedented levels of prosperity and wealth for all while ensuring economic and environmental justice and security." She also called for a "World War II-scale mobilization" that includes high-quality education and health care, clean air and water and safe, affordable housing. The New York Representative also responded to her critics who said that her plan was unrealistic, by saying that when President John F. Kennedy wanted to go to the moon by the end of the 1960s, "people said it was impossible."